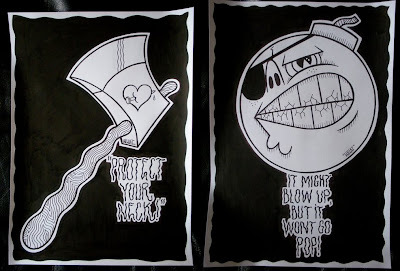 "It might blow up, but it won't go pop" are both hand drawn pieces using Posca and felt tip on art paper. Both A3 in size there are priced at the very reasonable price of just £45. Bag yourself one here.